The 1,380-meter-long Vespasianus Titus Tunnel, which was built completely by man power during the Roman period in the town of Çevlik of Turkey's southern Hatay province, continues to draw the attention of local and foreign tourists with its incredible construction work and architectural genius. Deemed "the largest tunnel in the world made by man," the ancient structure is visited daily by hundreds of travelers fascinated by history and architecture, picturesque scenery and all things green as the region is also home to an array of tree species. The water tunnel is also close to the historical harbor city of Antioch on the Orontes on the eastern Mediterranean coast. The tunnel, the construction of which began in the first century A.D. during the reign of Roman emperor Vespasianus and continued under his son Titus and his successor Antonius Pius, was built to combat the constant threat posed by the floodwater that came from nearby mountains in the ancient city of Seleuceia Pieria (Seleucia by the Sea) in what is now Turkey. To solve this problem, Emperor Vespasianus ordered his legionaries, sailors, and prisoners to dig a water channel through the mountain to divert the floodwaters via a canal, therefore preventing silting the harbor and saving it from becoming inoperative. Canals had been built by former Roman emperors to solve this problem, however they failed to stop the floods. The fact that the whole tunnel was carved through solid rock with hammers and chisels and has survived to this day without much damage continues to amaze modern engineers and architects. Hüsnü Işıkgör, the provincial director of culture and tourism, told Anadolu Agency (AA) that they have been carrying out work for the protection of the site and to offer visitors a better, more comfortable experience. Işıkgör stated that they had first built walking trails, viewing terraces and stands where local products were sold, and they were now preparing a project to establish a visitor center that would include social facilities inside the tunnel. "The Vespasianus-Titus Tunnel is the longest tunnel in the world dug by hand. Next to it, there is also the Beşikli (Cradled) Cave, where there are many tombs belonging to important priests and clerics," he said. 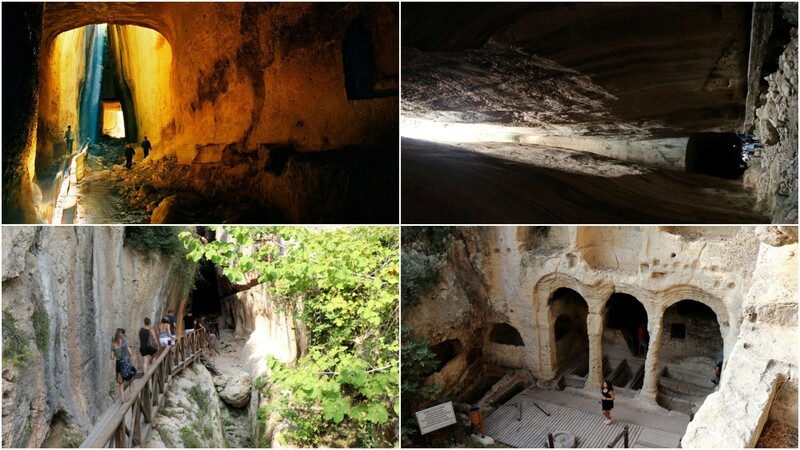 The cave has also been called the "Graves of the Kings" as the tombs are believed to belong to emperors from early Roman times. "We want the tunnel to be added to the permanent UNESCO list. We have started work on environmental planning around the area and we want to start working on a welcoming center as soon as possible," Işıkgör added. Due to its size, well-preserved authenticity, architectural features and remarkable engineering, the 2,000-year-old tunnel has been deemed one of the most magnificent remains of the Roman period by UNESCO. The Vespasianus Titus Tunnel was submitted to UNESCO on April 15, 2014, and is currently on the Tentative List of its World Heritage Sites.